No matter how much fun the kids are having these summer holidays, there’s no avoiding the return to school. Here’s our pick of the best drink bottles for little ones. One way to make sure your child’s bottle won’t be accidentally taken home by another is to get a personalised drink bottle from Stuck on You. There are forty funky images to choose from so even the coolest (fussiest) of children should be able to find something suitable. Bottles are 500ml, cost $24.95, have pop top lids, are BPA free, stainless steel and shipping is free until Monday 14 Jan 2013. Another fave of ours is the Thermos Funtainer Straw Bottle, available from Haggus and Stookies for $21.95. 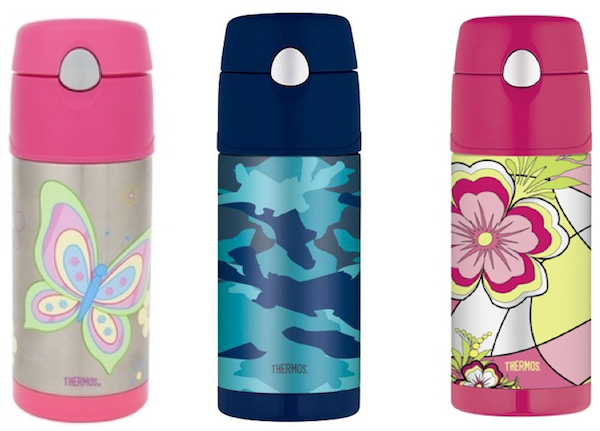 This 355ml thermos design has double wall vacuum insulation to keep drinks cold for up to twelve hours. It features funky illustrations, push button lid, pop up straw and is tough as old boots. It has a non-slip base, is sweat proof and, if you can get them to close the lid, it is also drip proof. 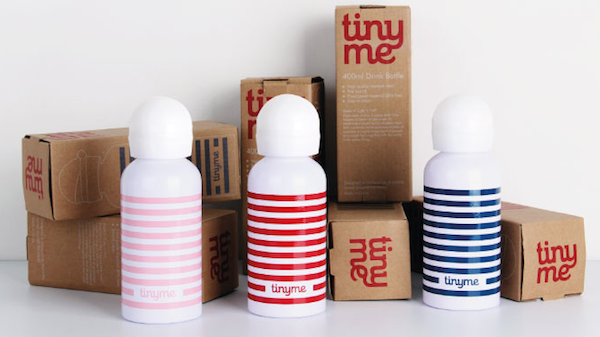 If you’re into super cute simplicity, then check out the Tinyme Stainless Steel Drink Bottles. Made to match their huge range of personalised products are a style statement all on their own. They are 400ml, have a pop top, are BPA free and come in three cute colours. These Join The Pipe drink bottles look a bit odd at first, so they probably won’t get mixed up with other kid’s bottles. Buying one of these is your ticket into a community of tap water drinkers who aim to redistribute clean water to areas of the world that are less fortunate. They are BPA free, also available in pink, and if you have a few, just for fun, they can be screwed together to make a water pipe. 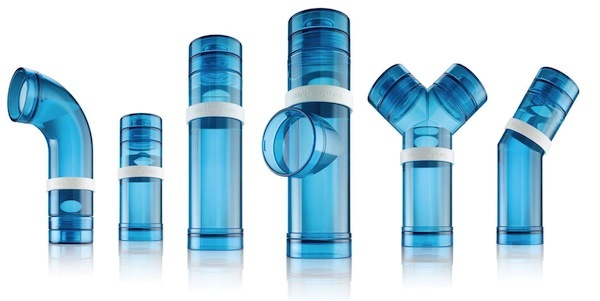 You can buy Join the Pipe bottles at selected surf stores from $19 or online for €15,00 with a €6 shipping cost. While you’re there you can also buy a fresh water pump in Asia for €1000. Just in case you had some spare cash in your pocket post-Christmas. If it’s funky retro inspired design you crave (who doesn’t?) then check out the Blafre Drink Bottles from Lark. These stainless steel cuties are 350ml and perfect for little hands. Designed in Norway, they will set you back $24.95 with a $9.95 shipping charge. There is a pop top lid and a pull up spout to ensure no drips and the neck is nice and wide to aid with easy cleaning. The best way to ensure that your little one’s drink bottle will come home is to get them something they love so much that they wouldn’t dare leave it behind. And one of these Vapur Quenchers may just do the trick. 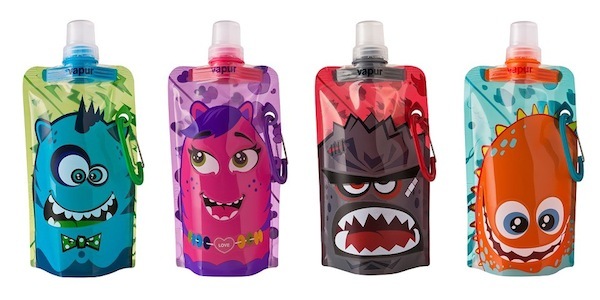 These collapsible drink bottles hold 250ml, are BPA free, foldable, reusable, can be easily attached to a school bag and are dishwasher safe. 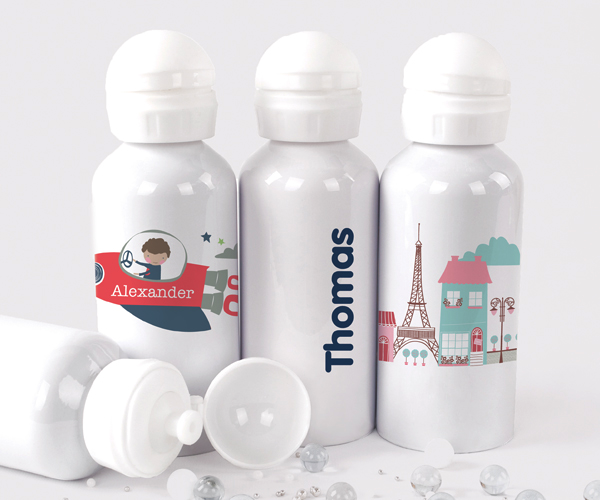 For $23.95 you can choose from the four above characters that each come plain faced with a packet of stickers so the kidlets can pick and choose what expression their bottle has. These little monsters can also go in the freezer to double as a cold pack for lunchboxes and shipping is only $3.50. 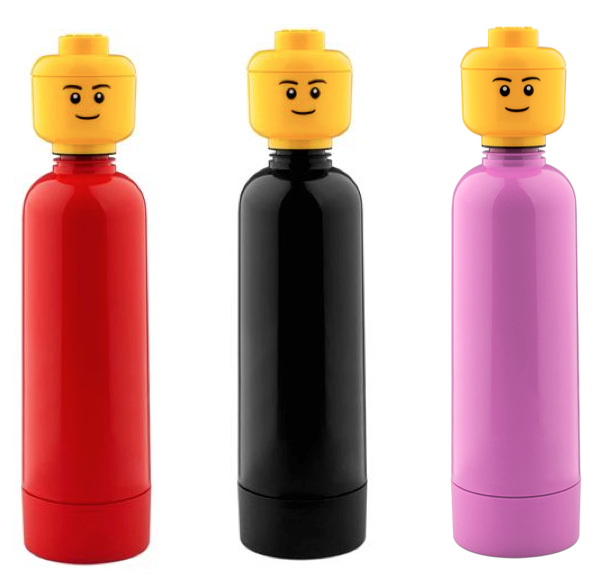 For all the little Lego heads out there Peter’s of Kensington have super funky Lego Drink Bottles for $16. These are made from durable plastic and the base unscrews for easy cleaning. If you decide on this one you may have to grab two, as you don’t want any jealous big kids (dads) in the house. They hold 400ml, are dishwasher safe and shipping is only $7.